Talented Tala Lee-Turton from Barnsley is only the third British female to graduate from the elite Russian Bolshoi ballet academy in its 243 year history. Although this 20-year-old is based in Russia with her company, the Astrakhan State Opera and Ballet Theatre, you will be able to see Tala perform this year in our region as the company is touring the UK this year performing as the Russian State Ballet. We started out asking Tala how did she accustom herself to the drastic change of environment and language when joining the Bolshoi Academy? To be honest, seeing as I had no expectations whatsoever upon arriving in Moscow to start my training, I found it a very smooth transition into Russian culture and way of life. I learnt a huge amount everyday technique wise but also culturally and language wise. I was so in awe at how much I was learning that I didn’t ever really stop to consider how different life at the Bolshoi was compared to what I was used to at home. Also, being from Yorkshire, I am used to very direct forms of communication and I found it reassuringly familiar to see this is very much the Russian way too! My time at the Bolshoi broadened my world-wide perception of classical dance as my fellow students were from Russia and different parts of the world including Japan, Portugal, Texas and Bilbao. My Russian training has given me flexibility I could only have dreamed of, strong technique, discipline, a new language, a friend in pretty much every country in the world, and most importantly, it’s given me a career as a ballet dancer. And how is the ‘Russian way of dance’ different from other styles or approaches? The Russian style is extremely expressive and heartfelt. I love the use of arm lines in Russian classical dance; they are an extension of the emotions a dancer wishes to portray to the audience. The training is different too. It was pretty relentless at the Bolshoi but my body responded well to the Vaganova method from the start, with its focus on turnout and precision in the execution of specific movements. Acting classes were also part of the curriculum and helped us, as students, understand how to interpret and present a story. I feel the Russian method of training has given me great technique, but also allowed me to dance from the soul and helped me become the professional dancer that I am today. Tell us about your dance classes. Do you teach in different parts of the world or locally in Yorkshire when home? I like to share what I have learned of the Russian method of training so I offer private coaching and masterclasses when I’m back home on leave. For logistical purposes, these generally take place in and around the North of England. My aim to give back as much as I can to my region as the local dance community is so important in engaging young people into positive activities. I could never have achieved anything I’ve accomplished so far without the support of my local dance community which is where it all started for me! Could you give us an insight into the Russian State Ballet UK tour this autumn and what are you looking forward to the most about the tour? We’ll be touring the UK this autumn with our live orchestra. It’s a tough tour, with performances every night and sometimes twice a day – last year we did over fifty shows – but it’s great because all of my family and friends have the opportunity to see me perform and I get to spend some time at home. I’m super excited to be bringing Giselle to the UK tour this time. It is a favourite of mine to dance and a real classic. I love the challenges it brings and the achievement we all felt at having performed it on our wonderful stage for the first time in the company’s history. We will also be performing Swan Lake and Nutcracker. 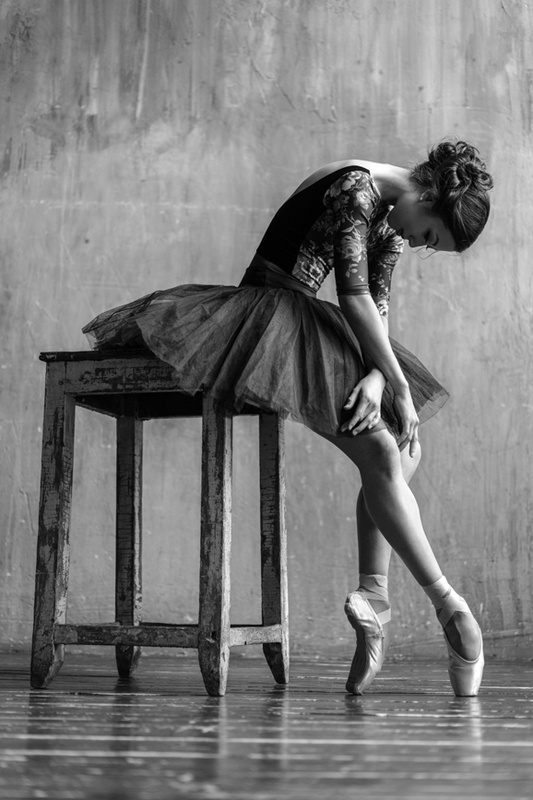 What would be your advice to any young ambitious ballet dancer? I believe there’s no better advice than to work your hardest and believe in yourself. Those two mindsets combined will always prepare a dancer for anything. I write a blog which shares my experiences in training and as a professional with the aim of helping young dancers and their parents navigate through the world of ballet training – it’s on my website at www.talaleeturton.com.